Mexico, officially the United Mexican States is a federal republic located in North America. The country shares borders with the United States to the north, the Pacific Ocean to the south and west; Guatemala, Belize and the Caribbean Sea to the southeast, and the Gulf of Mexico to the east. 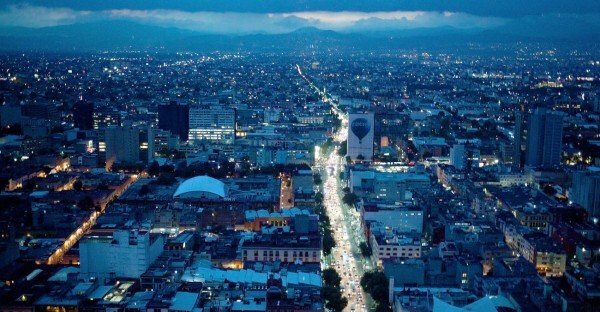 Mexico is the 5th largest country in the Americas and the 15th largest independent country in the world with an estimated population of 120 million. Gambling is legal in Mexico, since 1947*, with strict restrictions. Mexico’s gambling industry is aimed at tourist, and the government imposes several restrictions to protect locals (however, locals are not actually banned from visiting these casinos, except under 21, and under the influence of alcohol). As of 2015, there are 297 gambling venues in Mexico. Most of these are located in luxury resorts targeting affluent tourists. The government aims to increase the number but it is a very slow process. There have also been talks of revising the very outdated gambling laws, but so far it did not materialize. Mexico is actually one of the few countries, where betting on blood sports is still legal (betting on cockfighting is legal in Mexico). Online gambling is also legal in Mexico. ** The Gambling and Raffles Bureau of the Mexican Ministry of the Interior is in charge of licensing gambling establishments and it has granted a few remote gambling license as well. Online sports betting companies (Ladbrokes), online poker companies (Amaya) and online lottery companies (Jumbo Interactive and Sorteo Games) are known to legally operate in the country and such websites can accept Mexican players as well as people outside of the country (however, many choose not to for a long time). In 2014 a new online gambling law was proposed in Mexico aiming to overhaul the gambling and online gambling laws. *** First it was postponed till 2015, and since then, nothing happened. Despite this, the online gambling market is booming in Mexico, but it’s far from it’s true potential. The new gambling legislation, despite the delays, is expected to roll out in the coming years, which will have a huge impact on the gambling scene of Mexico. Players from Mexico are free to play on foreign online gambling websites, which accept their registrations as well. Mexico’s gambling laws do not regulate foreign gambling websites.You can find a list of online gambling websites, which accept players from Mexico below. Land-based gambling is legal in Mexico and regulated by the country’s government since the late-40s. The Gambling and Raffles Bureau of the Ministry of the Interior regulates and overseas gambling and casinos in Mexico. The outdated gambling law of Mexico regulates casino gambling using such terms as “raffles of numbers or symbols through machines” and “opening and operating gaming fairs”. This of course leads to a lot confusion, and the meaning of such no longer used terms from the 40s is confusing. Nevertheless, 297 gambling venues are already in operation in Mexico (most of them are luxury casino & hotel resorts). Online casino gambling (remote gambling) is also legal in Mexico with a license. There is a bill currently under development (Gambling (Licensing and Advertising) Act) which will update the country’s outdated casino gambling laws. It is expected in the next few years. Sports betting is legal in Mexico and online sports betting as well. Actually, Ladbrokes, the UK’s largest bookmaker company has entered the Mexican market under the brand name Sportium in 2015. Foreign online sports betting sites are also accessible to Mexican players. Mexico’s national lottery is called Lotería Nacional and it dates back to the 18th century. There are other types of lotteries in the country too, like the Melate, Revancha, and the Progol to name a few. These lotteries are available on the internet too. But unlike in most countries, the lottery is not a state monopoly and private investors can obtain a licence too. Mexico’s gambling laws are very outdated and they were created decades before the internet and any digital currency. The Mexican gambling laws do not mention Bitcoin or digital currencies in any way. However, in 2015, Mexico’s Secretariat of Finance and Public Credit declared its official stance on Bitcoin and made it illegal to use. * This made gambling transactions involving Bitcoin illegal within Mexico. It’s illegal, we do not recommend initiating Bitcoin transactions from Mexico. This guide focuses on the legal status of various forms of gambling and online gambling in Mexico. A list of online gambling websites accepting players from Mexico is included as well.